Essay, Paragraph or Speech on “Dussehra” Complete English Essay, Speech for Class 10, Class 12 and Graduation and other classes. Essay, Paragraph or Speech on “Diwali – Festival of Light” Complete English Essay, Speech for Class 10, Class 12 and Graduation and other classes. Essay, Paragraph or Speech on “Holi – Festival of Colors” Complete English Essay, Speech for Class 10, Class 12 and Graduation and other classes. 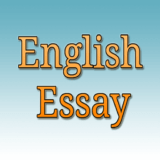 Essay, Paragraph or Speech on “The Basant” Complete English Essay, Speech for Class 10, Class 12 and Graduation and other classes. Essay, Paragraph or Speech on “A Policeman” Complete English Essay, Speech for Class 10, Class 12 and Graduation and other classes. Essay, Paragraph or Speech on “A Soldier” Complete English Essay, Speech for Class 10, Class 12 and Graduation and other classes. Essay, Paragraph or Speech on “A Nurse” Complete English Essay, Speech for Class 10, Class 12 and Graduation and other classes. Essay, Paragraph or Speech on “A Bus Conductor” Complete English Essay, Speech for Class 10, Class 12 and Graduation and other classes.